Are you ready for a tropical Summer getaway? The young character Tai sets off on a vacation to visit his grandparents on the tropical island of Toromi, but soon finds out things aren’t as they seem. This once peaceful island has erupted in chaos from restless spirits within. Does Tai have what it takes to put these spirits to rest for good? RainBite, a studio located in New Zealand are the creators of the hit game Reverie: Sweet As Edition. Having seen a release on other platforms, they hoped to make this the “Definitive” version, which was made possible due to it being on the Nintendo Switch! This is also their first release on Nintendo Switch. Will we see other titles from them in the immediate future? It wouldn’t be a vacation if you didn’t know about the location where you are going! The game kicks off with a tale about Toromi Island and the three brothers whose spirits inhabit the surrounding depths of the island. They are still rumored to this day to be disrupting the peace and serenity. What exactly happened to them? Well, we’ll leave that one to the game to tell you! Did we mention it’s inspired by an ancient tale? Paying homage to games like The Legend of Zelda and Earthbound, Reverie’s gameplay takes inspiration from the former. Featuring six different dungeons (each with their own boss), a variety of puzzles, and different items for you to collect, you are ready to venture out to find what’s happening on the Island of Toromi. With a variety of different equipment in your arsenal, you are ready to take down foes as soon as you unlock your first weapon. Different dungeons are home to equipment upgrades like the Dart Gun, which allows you to shoot targets more precisely. There’s even a bonus shooting gallery mini-game! Exploring and solving the island’s mysteries isn’t the only thing you can do on Toromi island. You can also take in the scenery, bask in the sun of the local beaches, or even check out the arcade! Just don’t get sand in your crack! Who knows, it may be worth your while to achieve some high scores. The “Sweet As Edition” features a variety of improvements and more to enhance the user experience. Some of the standouts include an item scroll wheel, a built-in achievement system, and an increased difficulty mode dubbed “Nightmare”. Ah, perhaps I should go more in depth on the “Collectibles” and Achievements of Reverie: Sweet As Edition. Since the Nintendo Switch doesn’t have a built-in achievement system like other platforms, Stamps make their debut in this new version of the game! Are you an achievement hunter or a completionist? Try to go for all 36 different stamps! The Feathers are another form of collectibles that can be found around Toromi but you’ll have to be a great puzzle solver to find them all. 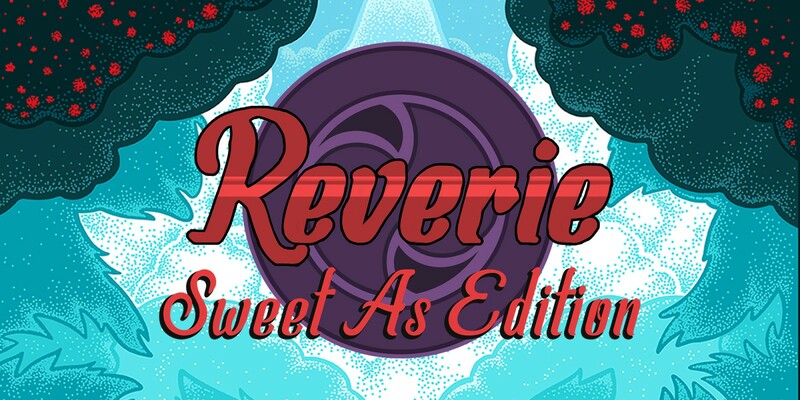 Reverie: Sweet As Edition truly shines amongst the many great games currently available on the system. Although the aesthetic is very much reminiscent to Earthbound and Zelda, the variety in gameplay is there making it more than just a “clone” of those legendary franchises. As I mentioned previously, absolutely everything is there when it comes to Reverie: Sweet As Edition in comparison to the other versions found on the rival consoles. The visual aesthetic and appearance were a personal highlight for me, and I felt a wave of nostalgia while enjoying my time on Toromi island. The style is indeed reminiscent of games from the past and the game really does capture the essence of those that have inspired it. The music and soundtrack of the environment are in sync with the games general theme and everything just blends together to make an excellent product. Does Reverie: Sweet As Edition live up to its name of a “Definitive Edition” of Reverie? It does indeed! Reverie on Nintendo Switch truly captures the essence of the system and Rainbite deserves all the credit they can get for a flawless experience. Many may look at Reverie: Sweet As Edition as a clone to the likes of Zelda and Earthbound, but having experienced the game this past week, I can truly say it stands on its own merits as a true inspiration to a wonderful series of games. Nintendo Switch fans, DO NOT sleep on this game if you are looking for a great independently developed game.